James Shore: The Art of Agile Development: Why Agile? The Art of Agile Development: Why Agile? Agile development is popular, but that's no reason to use it. The real question: will agile development make your team more successful? Success is usually defined as delivering on time, under budget, and as specified. That's a flawed definition. Many late projects are huge successes for their organizations, and many on-time projects don't deliver any value. 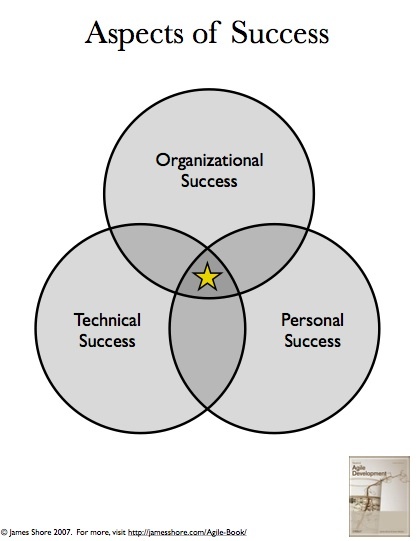 Instead, think in terms of organizational, technical, and personal success. Agile development is no silver bullet, but it is useful. Organizationally, agile delivers value and reduces costs; technically, it highlights excellence and minimal bugs; personally, many find it their preferred way to work.